Hanged at Pentonville Prison for treason. Some have claimed Casements Black Diaries to be a "smear" perpetrated by the British. 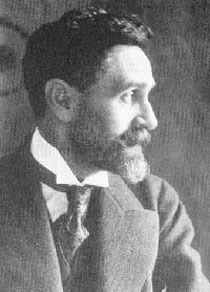 A forensic examination by a team led by Dr. Audrey Giles in 2002 came to this assessment: "The unequivocal and confident conclusion which the Giles Document Laboratory has reached is that each of the five documents collectively known as the Black Diaries is exclusively the work of Roger Casement's hand, without any reason to suspect either forgery or interpolation by any other hand. The Diaries are genuine throughout and in each instance." See Paul Tilzey, "Roger Casement: Secrets of the Black Diaries", BBC, 2002.